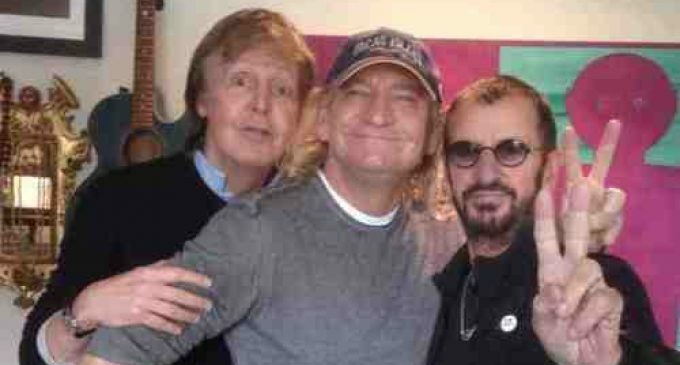 Paul McCartney, Ringo Starr And Joe Walsh In Studio Together was a top 17 story of February 2017: Ringo Starr was joined by his former Beatles bandmate Paul McCartney and legendary Eagles guitarist Joe Walsh in the recording studio this past weekend.Starr broke the exciting news to fans via a series of tweets, beginning with a photo of himself with McCartney and the caption “Thanks for coming over and playing great bass. 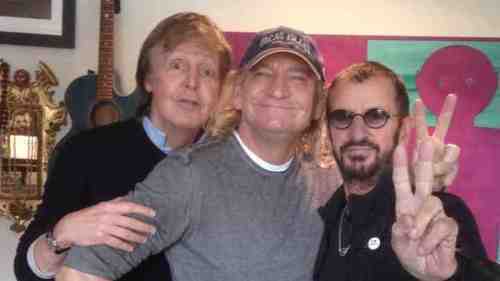 I love you man peace and love.”Ringo then posted a photo of himself, McCartney and Joe Walsh. He wrote, “And look Joe W. came out to play what a day I’m having peace and love.” See that tweet here.